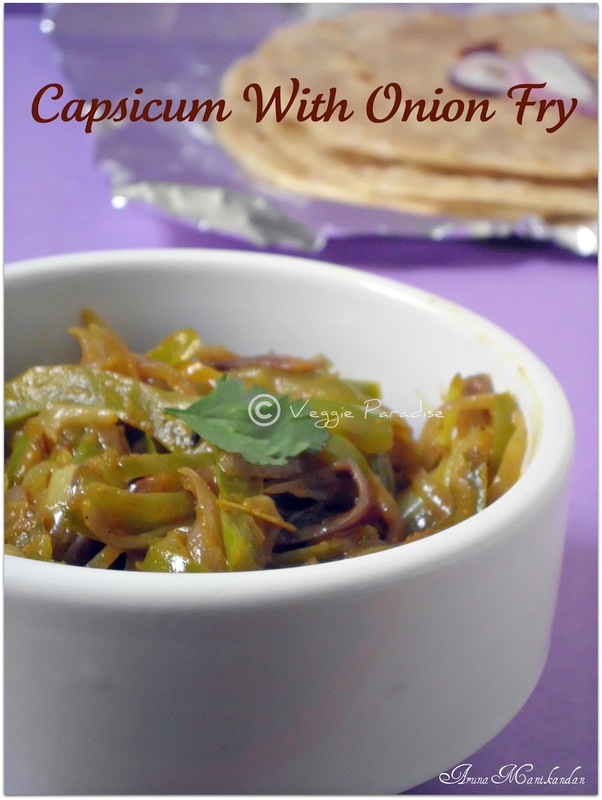 A quick and easy flavourful side dish for chapathi's. I make this often when I am too lazy of preparing Kurma's. Heat oil in a pan, add the cumin seeds, saute for a min. Add the chopped onions and fry them till they turn translucent. Add the capsicum along with the powder ,mix them well and cover with a lid. Cook them in low flame, stirring occasionally until the capsicum gets softened. One of my favourite curry, just love with curd rice...yumm! A quickie and liked it. Loved the wrap too. bell pepper chappaathi roll nice. 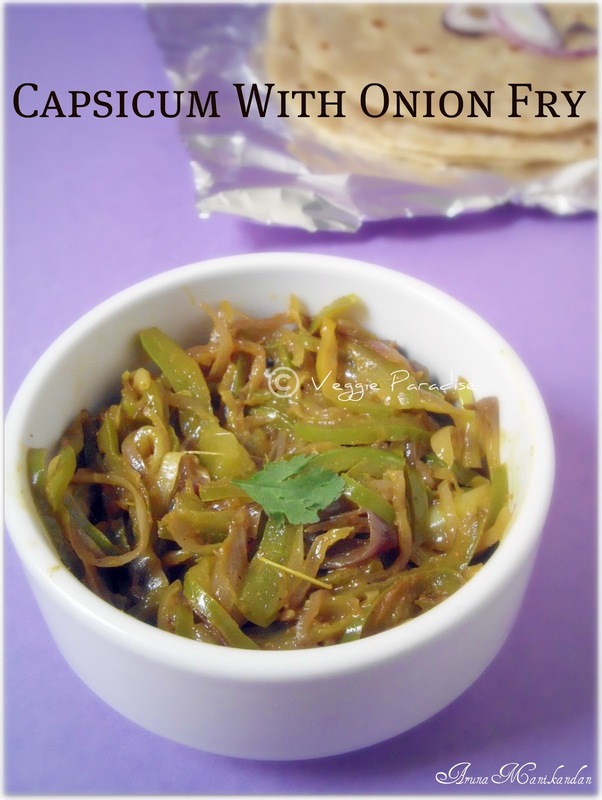 Wooow,,,capsicum curry looks superb n perfect goes well with rotis..Well presented dear. Capsicum curry looks awesome and I love the presentation and the clicks. Easy and yummy one, looks delicious. simple and delicious cury.. nice one!! Very nice.. simple and quick ..
Thax for all your appreciating words at our space.we dont know how we missed yours this long..Lovely space...See you often..
Thatz an amazing recipe loaded with nutrients Aruna. Caspicum curry looks yummy. nice to be with chapathis. Love the fry recipe. Never tried to fry just capsicum alone. We have some awards waiting for you at our space. Please do stop by to collect them. Yummy wraps...looks too good .. wonderful lunch box menu as well. This is quite simply amazing. I really adore Indian cuisine, especially things related to curry. Keep up the great work with your articles and please stop by my health blog sometime. The web address is http://healthy-nutrition-facts.blogspot.com/. Very good recipe. looks very tasty too. Love that curry,looks yumm! Never tried before,sure should try once! Wow, LOve this quick and easy recipe..It looks delicous .. Very nice, simpe and delicious recipe. Looks yummy and tempting. One of my favorites..looks delicious..Following you would visit often..meaning will not miss a recipe !!!! First time here. Your blog is awesome. I do pack lunch for my kid similar way..